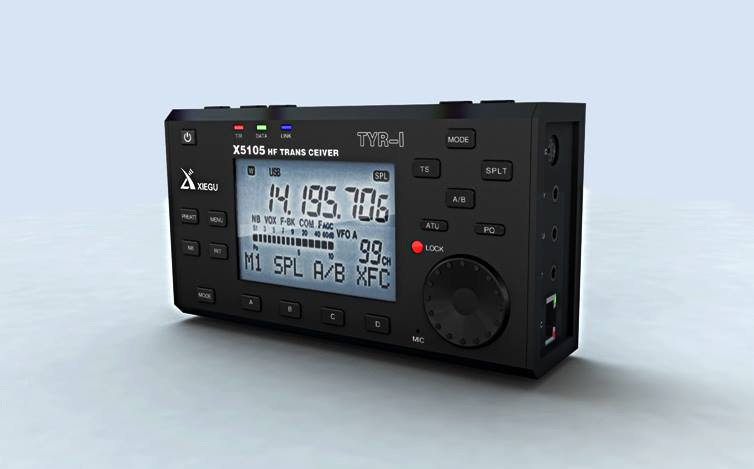 X5105 is a highly portable transmitter receiver working at HF+6m band, with a built-in power output of 5W. Technical features: double-conversion superheterodyne, fitted with up to 3 lithium batteries of 18,650mAh each. The display is a copy/paste of the Icom IC706. Would be nice, but smells a bit like an early April Fools. Several chinese radios clone design elements from other, more well known, japanese radios. I just wish for an internal bay for a Raspberry Pi 2 or similar sbc complete with digital control of the radio and audio connections.